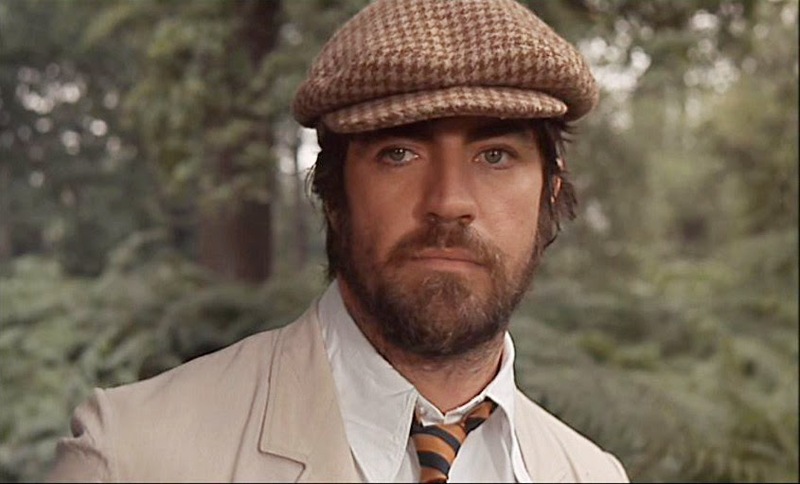 Sir Alan Bates, CBE, was born today, February 17, in 1934. He was an English actor who came to prominence in the 1960s, when he appeared in films ranging from the popular children's story Whistle Down the Wind to the "kitchen sink" drama A Kind of Loving. Bates was married to Victoria Ward from 1970 until her death in 1992, although they had separated many years earlier. They had twin sons, born in November 1970, the actors Benedick and Tristan Bates. Tristan died in 1990. Bates had numerous relationships with men, including those with actor Nickolas Grace and Olympic skater John Curry. In 1994, Curry died from AIDS in Bates's arms. Even after homosexuality was partially decriminalized in Britain in 1967, Bates rigorously avoided interviews and questions about his personal life, and even denied to his male lovers that he was gay or bisexual. 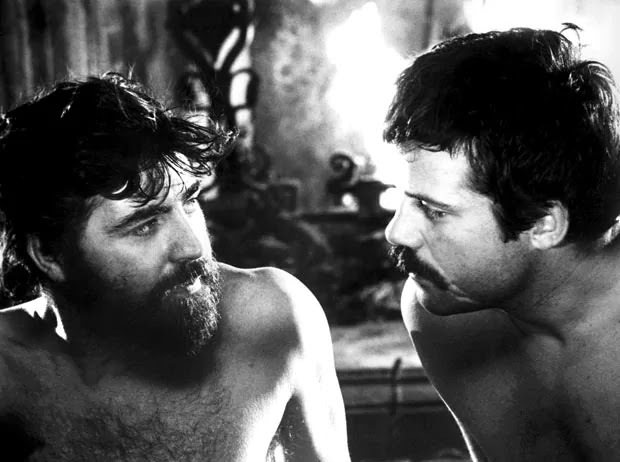 While throughout his life Bates sought to be regarded as a ladies' man or at least as a man who, as an actor, could appear attractive to and attracted by women, he also chose many roles with an aspect of homosexuality or bisexuality, including the role of Rupert in the 1970 film Women in Love (shown here with Oliver Reed). Click here to see the famous (and NSFW) wrestling scene from that film. Bates had undergone a hip replacement shortly before being diagnosed with inoperable pancreatic cancer in January 2003. He suffered a stroke later that year, and died in December after going into a coma. I saw him two, perhaps three, times live on stage - first time in Simon Gray's 'Otherwise Engaged' in 1975, then around 1990 in 'Much Ado About Nothing' (by which time he'd become much too old to be playing the part of Benedict). He was also part of a celebrity-packed charity event I was present at to raise funds protesting against the then Conservative government's infamous Bill to criminalise the 'promotion' of homosexuality. I read only a month or so ago about his relationship with ice-skater John Curry, which came as a complete surprise to me (Curry had been mercilessly lampooned by some of the tabloids when he was at his performing peak, for his perceived effeminacy, an attitude which was par for the course for many 'newspapers' at the time of the 70s-early 80s). This is the first I've heard about Curry having died in Bates' arms. There's no doubt that at his physical best in the late 60s and into the 70s Bates was so hot physically that I'm sure he could have boiled water just by standing by. He certainly more than once got my pulse a-racing.